Sculpture Size: 18 X 12 X 6 in. 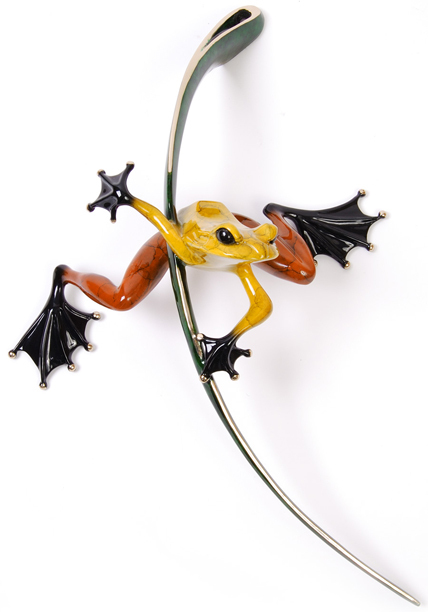 “Ready, Set, Go” is a dramatic wall-hanging frog. A vivid yellow and red frog is hanging on to a long curving grass blade, and he’s about ready to jump right off the wall! Looks terrific mounted at eye level, so you can enjoy his intense expression and colorful patina.